The one door trap: They are very easy to use because once the raccoon is inside the trap, and it steps on the cage plate, then the door will automatically lock and prevent the raccoon from escaping. 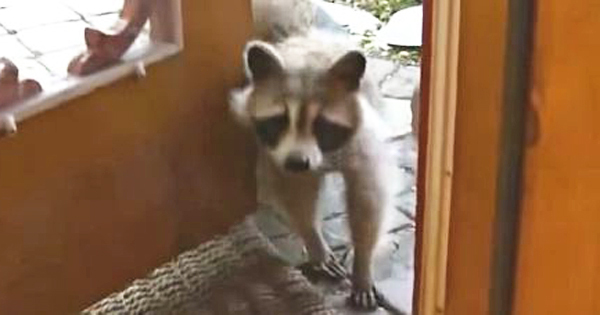 The two door trap: The advantage of this trap is that there are very high chances of trapping the raccoons and with the two doors; the raccoons can easily enter without thinking through. When you have the trap, the next thing is to identify the best spot to place the traps. The traps should be placed where a raccoon may live like in the attic, porch, under the sheds, in the walls, under the basement, tree hollows and along the fence lines. The important thing is to place the trap on a surface that is very even. Bait the trap- This is the next significant stage; you can use foods that are very sweet like mellows, meat and other fatty foods. The bait has to be properly positioned so that the raccoons can fully enter into the traps. They baits have to be firmly placed to prevent the raccoons from knocking them over. You can therefore use a hard brick to secure the baits in position. The next step is to carefully set the trap by leaving the doors open, the trigger mechanism has to be perfect so that the raccoons can be trapped immediately when they enter the trap. You have to frequently check the traps regularly. You should never leave the raccoon trapped for a couple of days because it can die because of starvation and other unbearable factors. Once you catch the raccoon, you have to be gentle with It. ; you also have to keep it cool and you can do this by draping a piece of cloth into the cage. Never handle the raccoon with your bare hands because it is unhealthy and they can also bite you. You have to relocate the raccoon from your home to a place that it will not find its way back into your property. When you are fully done with getting rid of the raccoon, you have to remove all the attachments that are likely to attract the raccoons. Clear the bushes block any openings and always dispose of garbage correctly. Go back to the How to get rid of raccoons home page.